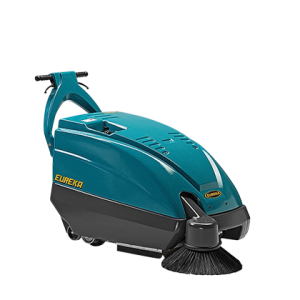 The Picobello 151 is the first and only manual sweeper in the world able to control the dust.It has a total sweeping path of 730 mm and can sweep up to 2.190 sq/m/h, this is at minimum 10 times faster than a man with a broom. It combines Productivity, Simplicity, Ecology and Value for money, and can be employed anywhere there are small to medium floor areas to be kept totally dust-free. The Picobello 151 is a very innovative manual sweeper, as it is equipped with a patented system that enables the complete control of dust, which would otherwise be raised when using any other traditional manual sweepers. It has an unlimited running time, it is completely silent and 100% ecological. Works just as well over hard or soft floors, indoor or outdoor.